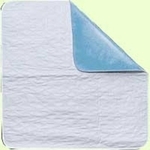 CareFor Deluxe Incontinence Underpad, Waterproof 32" x 36"
CareFor Deluxe Incontinence Underpad, Waterproof 23" x 36"
CareFor Deluxe Incontinence Underpad, Waterproof 36" x 54"
CareFor Deluxe Incontinence Underpad, Waterproof 36" x 72"
CareFor Deluxe Incontinence Underpad, Waterproof Reusable 23"x36"
CareFor Deluxe Incontinence Underpad, Waterproof Reusable 32"x36"
CareFor Ultra Odor-Control Incontinence Underpad, 23" x 36"
CareFor Ultra Odor-Control Incontinence Underpad, 32" x 36"
CareFor Ultra Odor-Control Incontinence Underpad, 36" x 54"
CareFor Ultra Odor-Control Incontinence Underpad, 36" x 72"
Medline Triumph Waterproof Washable Underpads 34"x36"
Quik-Sorb Incontinence Underpad, Chair Size, Plaid 18"x24"
Quik-Sorb Incontinence Underpad, Plaid 24"x36"
Large size for beds, sofa, etc. 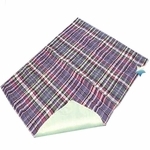 Quik-Sorb Incontinence Underpad, Plaid 34"x36"
Quik-Sorb Quilted Birdseye Cotton Incontinence Chair Pad, 17"x24"
Quik-Sorb Quilted Birdseye Cotton Incontinence Underpad for Hospital Beds, 36"x80"
Quik-Sorb Quilted Birdseye Cotton Incontinence Underpad, 24"x35"
Quik-Sorb Quilted Birdseye Cotton Incontinence Underpad, 34"x35"
Quik-Sorb Quilted Birdseye Cotton Incontinence Underpad, 36"x54"
Quik-Sorb Quilted Polyster Underpad, 24"x35"
Quik-Sorb Quilted Polyster Underpad, 34"x35"
Save money over disposables! 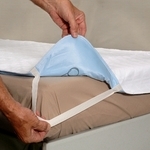 HighTideHealth's selection of of incontinence pads are more than just mattress protectors. 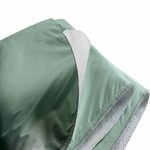 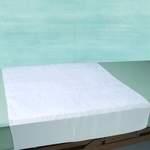 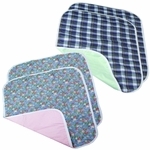 Washable Bed and Chairs pads are specifically engineered to manage incontinence accidents.